Go Hyun Jung made a public appearance for the first time since the controversy from her former drama 'Return'. In February, Go Hyun Jung left her lead role in 'Return' in the midst of filming due to conflict with staff members. The actress has been away from the public eye ever since. Then on April 12, she greeted the press for the first time in 2 months at the 'Cine Talk' event for the new film 'A Tiger In Winter'. Fans at the event sent messages of encouragement to Go Hyun Jung. 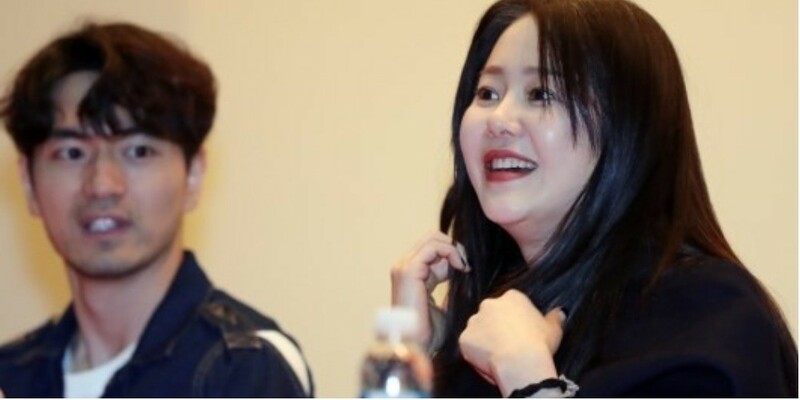 Hearing their cheerful shouts, Go Hyun Jung opened up about the issue and stated, "I realized that I needed to reflect on my actions after experiencing such an incident. There were misunderstandings and I also wondered how things that didn't actually happen were shared as if it really occurred. Some asked why I didn't do anything about it." She continued, "Through the recent controversy I realized that when something happens, not everything is bad and not everything is good. There are people who remember me from my [past drama] Mal Sook days. They are one reason to my life and why I have to live well. I appreciate them."